Chinese furniture factory workers were the focus of a heated debate that helped shape "White Australia." more complex than the assertions made about them. complex than the assertions made about them. Government Research Training Program Award at the University of Wollongong. engaged “working at any handicraft,” as per the 1896 New South Wales Factories and Shops Act, 2. (a), (b). Strike, 1878–79,” Labour History, no. 105 (November 2013): 131–52. Court of Arbitration, November–December 1904, 5340–2/5714, NSW State Records (NSWSR). 6. I use period Chinese characters and Hanyu Pinyin where period transliterations are unavailable. Arbuckle, Waddell and Fawckner, 1907). Iremonger, 1978), a special issue of Labour History, no. 35 (November 1978): 66–79. California (Berkeley: UC Press, 1975). 1901–21 (Richmond: Raphael Arts, 1977), 41–45, 63–70. through a World-History Approach,” Australian Historical Studies 45, no. 1 (2014): 87–102. latter of which contain mostly statistical data on factories and workers. Little Lon, 1860–1950” (PhD diss., University of Melbourne, 2003), 305–57. Century Miller (London: Routledge & Kegan Paul, 1980). Couchman and Bagnall, Chinese Australians, 117–37. Identity, 1892–1912 (Clayton: Monash University Publishing, 2013). 18. Edgar Cutler’s Testimony, 6 December 1891, NSWRC, 428. Arbitration Court, 1905–15,” Labour History, no. 93 (November 2007): 77–84. 20. “The Chinese Question,” SMH, 30 July 1908; “The Chinese Question,” SMH, 15 August 1908. 21. Affidavits of Debt, 7 March–7 April 1876, Chow Young Insolvency, 13654–2/9598–12761, 71–96, NSWSR. 22. Affidavits of Debt, 27–28 November 1890, Man Sing Bankruptcy, 13655–10/22675–3020, 33–57, NSWSR. 23. Sun Sing Loong’s Testimony, 11 December 1891, NSWRC, 388. Manual Lu Ban Jing (Leiden: Brill, 1993), 15–24. ), TWT, 9 February 1924.
woodworkers in Sydney probably needed to travel to regional centres to do apprenticeships. of Guangzhou furniture workers, also shows that furniture establishments were usual there. Sketcher in 1880 (Figure 3). 28. Sun Sing Loong’s Testimony, 390–91. Couchman and Bagnall, eds., Chinese Australians, 72. 30. Sun Sing Loong’s Testimony, 388. 31. Yuen Tah’s Testimony, 2 October 1891, NSWRC, 119. (Sydney: Historic Houses Trust of NSW, 2003), 31–64. 33. 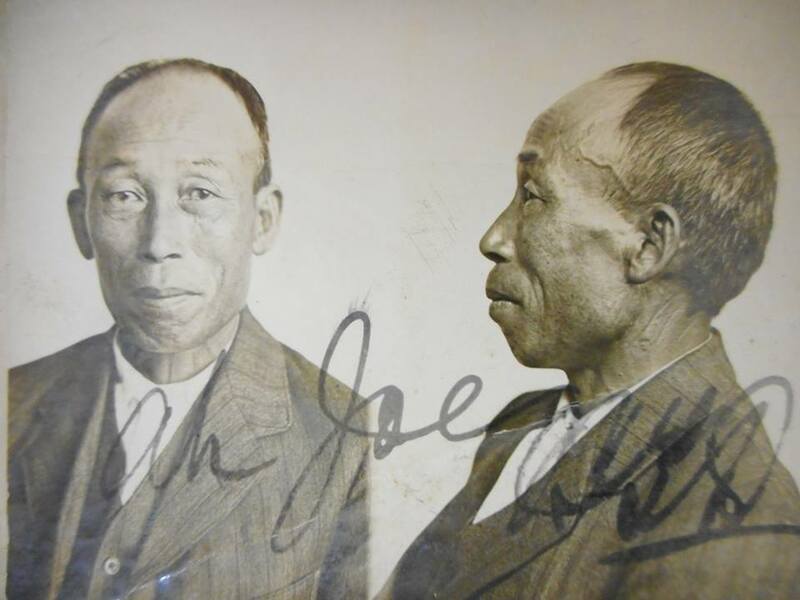 Lay Jong’s Testimony, 27 July 1893, Lay Jong Bankruptcy, 13655–10/1022864–06597, 40, NSWSR. Francisco,” Chinese America: History and Perspectives 21 (2008): 21. 35. “Among the Chinese,” SMH, 8 February 1879; see also “The Furniture Trade,” SMH, 1 November 1886. 36. Affidavits of Debt, 9–14 March 1910, Henry Louey Bankruptcy, 13655–10/23603–18391, 77–89, NSWSR. 37. Chan King’s Testimony, 31 March 1913, Willie King Bankruptcy, 13655–10/23691–19488, 66–7, NSWSR. (hereafter FSA Report) 1897 (Sydney: Government Printer, 1898), 33. Arbitration in 1906 a delineation of woodwork on the factory floor based on the use of machines. Sidney Jack may have been trained in a Chinese factory. Report 1898 (Sydney: Government Printer, 1899), 23. 40. Nora Ah Toy’s Testimony, 31 December 1891, NSWRC, 463. 41. Pennell v. Quong Wing, trading as W. Rising and Co., 18–19 October 1926, 2713–6/1309, NSWSR. than European ones; see FSA Reports 1897–1930. 45. Sidney Jack’s Testimony, 30 March 1909, Jack Lem Bankruptcy, 13655–10/23574–17992, 111–12, NSWSR. 46. Sun Sing Loong’s Testimony, 391. 48. Willie Wing’s Testimony, 167. 49. Affidavits of Debt, 17 February 1908, Harry Kow Bankruptcy, 13655–10/23541–17604, 6–15, NSWSR. 50. Sing Leng’s Testimony, 5 March 1896, Sing Leng Bankruptcy, 13655–10/23072–10431, 3, NSWSR. 51. Boileau, “Chinese Market Gardening in Australia and New Zealand,” 46–85. 52. Sun Sing Loong’s Testimony, 390. Kow Bankruptcy, 13655–10/23541–17604, 46, NSWSR. 54. Ah Hing’s Testimony, 28 May 1883, Ack Chow Insolvency, 13654–2/9993–17928, 14, NSWSR. 55. Seck Fan’s Testimony, 9 March 1906, Furniture Trade Union v. Ah Wong, 175. 56. Ah Fat’s Testimony, 9 March 1906, Furniture Trade Union v. Ah Wong, 149. 57. Ah Wah’s Testimony, 20 March 1896, Sun Hap On Bankruptcy, 13655–10/23079–10554, 4, NSWSR. 58. Yit Yung’s Testimony, 10 August 1915, Jan Way Bankruptcy, 13655–10/23778–20439, 156, NSWSR. 59. Seck Fan’s Testimony, 183. diss., University of Wollongong, 2012), 43–44. 61. Ah Fat’s Testimony, 152.
alleged within the Chinese factories.67 Chinese community leaders disputed these allegations, too. 64. Yit Yung’s Testimony, 156. 65. Edgar Cutler’s Testimony, 428, 431. 66. See, for instance, “Mongolian Sweating,” Worker, 4 February 1905. 67. Lake, “Challenging the Slave-Driving Employers,” 100–102. (Sydney: Chinese Chamber of Commerce, 1926), 14–16. 69. Affidavits of Debt, 27–8 November 1890, Man Sing Bankruptcy, 33–57. 70. Affidavits of Debt, 10–3 April 1893, Leong Dong Bankruptcy, 13655–10/22844–6266, 9–24, NSWSR. 71. Ding On’s Testimony, 10 August 1915, Jan Way Bankruptcy, 151. July 1879; “The Furniture Trade,” SMH, 30 October 1886. See also William Holman’s Testimony, 433.
two said that they received wages.79 Similarly, Ying Sing, once a partner in the Sun Hap On and Co.
operator who went bankrupt and then went to work for Lee Fee at Waterloo in 1909, was one case. Victorian Labour Markets,” IZA Discussion Paper Series, no. 10388 (November 2016). Charles Lum Bankruptcy, 13655–10/23741–20077, 56–71, NSWSR. “Chinese Political Values in Colonial Victoria,” 89.
of the Chief Inspector of Factories, Work-Rooms, and Shops 1900 (Melbourne: Government Printer, 1901), 14. Antecedents, ed. Medha Kudaisya and Ng Chin-keong (Leiden: Brill, 2009), 35. 79. Affidavits of Debt, 7 October 1911, George Suey Bankruptcy, 13655–10/23646–18951, 25–40, NSWSR. 80. Ying Sing’s Testimony, 5 March 1896, Sun Hap On Bankruptcy, 29. 81. Louie Fook’s Affidavit of Debt, 7 October 1911, George Suey Bankruptcy, 32. 82. “Furniture Trades Award,” SMH, 10 September 1909. 83. 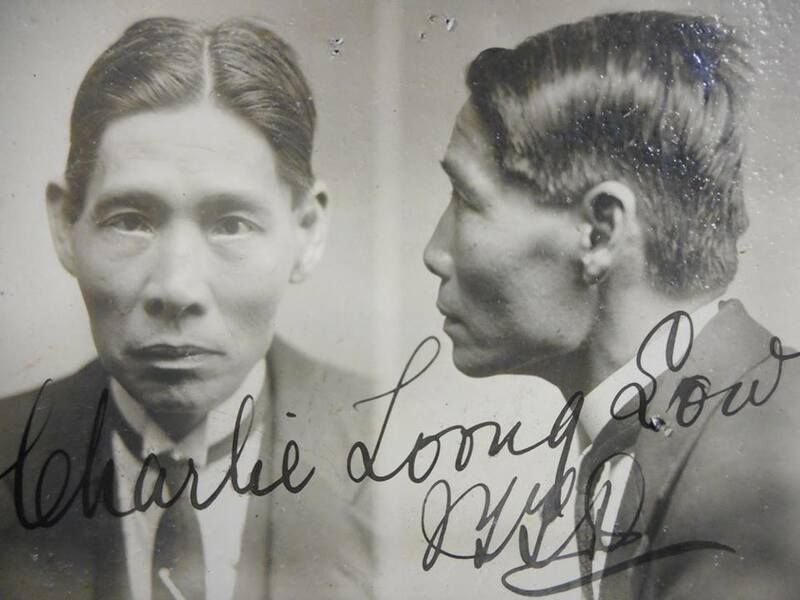 Hing Pound’s Testimony, 17 March 1909, Hing Pound Bankruptcy, 13655–10/23578–18024, 45, NSWSR. 84. Ding On’s Testimony, 151. 86. Ah Hing’s Testimony, 14. 87. Yit Yung’s Testimony, 165. ), TWT, 13 December 1913. 89. “Furniture Trade,” SMH, 9 January 1906. 90. FSA Report 1897, 1. 91. Sun Sing Loong’s Testimony, 389. 92. Ah Wah’s Testimony, 5–6. 93. Ding On’s Testimony, 155. 95. Ching Yow CEDT Application, SP42/1–B1907/2726, NAA Sydney. 96. Sun Sing Loong’s Testimony, 390. Hong Kong University, 2002), 106–64. 98. Affidavits of Debt, 27–8 November 1890, Man Sing Bankruptcy, 33–57. 99. Hing Pound’s Testimony, 17 March 1909, Hing Pound Bankruptcy, 44, 46. 100. NSW Factories and Shops (Amendment) Act 1927, 5. 49 (4); Victoria Factories and Shops Act 1896, 19. 102. Ding On’s Testimony, 152. Closing,” Labour History, no. 110 (May 2016): 23. Larrikins in 19th Century NSW,” Locality 11, no. 2 (2001): 19–23. “The Furniture Trade,” SMH, 1 November 1886. 106. Sun War Hop’s Testimony, 12 December 1891, NSWRC, 396. 107. Chow Kum’s Testimony, 12 December 1891, NSWRC, 394. 108. William Holman’s Testimony, 434.
insistent that workers not work at night, nor on Sundays, after the 1896 Factories and Shops Act. threat of this “underclass” to European workers. 109. Willie Wing’s Testimony, 175. 110. Ah Fat’s Testimony, 152. 111. FSA Report 1899 (Sydney: Government Printer, 1900), 21. ), TWT, 30 June 1906. 113. Kuo, “Confucian Heritage,” 145. Would You Vote?,” Sunday Times, 5 July 1908. 115. Lay Jong’s Testimony, 27 July 1893, Lay Jong Bankruptcy, 47–48. 116. Jan Way’s Testimony, 7 September 1915, Jan Way Bankruptcy, 213. 117. Edgar Cutler’s Testimony, 431; “Why the Chinaman is Cheap,” The Worker, 22 October 1904. 118. See, for instance, “The Chinese Citizens in Reply,” SMH, 22 August 1904. 119. Lay Jong’s Testimony, 12 December 1891, NSWRC, 393. 120. Charles Lum’s Testimony, 26 October 1914, Charles Lum Bankruptcy, 4. 121. Sun Sing Loong’s Testimony, 388. 123. Yit Yung’s Testimony, 163. 124. E. J. Forbes and Sons had £20,000 start-up capital, see “Notes and Comments,” SMH, 28 April 1911. 126. Ying Sing’s Testimony, 28. Shanghai and Hong Kong, 1900–41,” Business History Review 70, no. 2 (1996): 141–66. Economic History Review 45, no. 2 (2005): 119–38. 130. Kuo, Making Chinese Australia, 17–51. “Sai-ga-Hong” (西家行) – the Chinese woodworkers’ union of 300 members – called a strike. and Chinese factory workers’ strikes complicated the issue of class even further. vital elements of the labour movement’s struggle for workers’ advancement. 132. Kuo, Making Chinese Australia, 215–56. ), TWT, 21 March 1908. 134. FSA Report 1908 (Sydney: Government Printer, 1909), 36. ), CAH, 21 November 1903. 136. “Chinese Strike,” SMH, 8 April 1908. 137. Markus, “Divided We Fall,” 1–10; Yong, The New Gold Mountain, 43. 138. “Chinese Labour,” Straits Times, 17 October 1911. Industry,” Chinese America: History and Perspectives 21 (2008): 1–10.